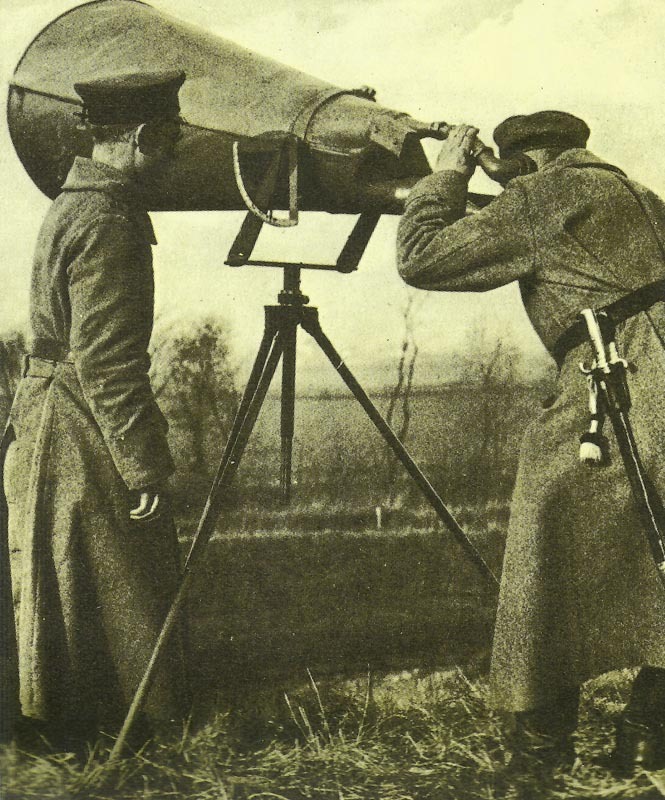 A primitive German anti-aircraft early warning device. Western Front: 21 RFC 1st Wing aircraft damage Don railway station (10 killed, 12 wounded; repeat December 2). Artois: Unsuccessful German trench raid north of ‘The Labyrinth’, French capture a German-occupied crater to north of it following day. Gallipoli – Great Blizzard (­until November 29): 280 British die, 16,000 frostbite cases. Germany: 2 British officer PoWs recaptured at Rostock boarding Danish ship.